Rabbis call for participation in rally ahead of Netiv Ha'avot evictions, to protest demolitions and demand government fulfill its promise. Rabbis of communities in Gush Etzion published a letter calling on local residents to support, encourage and assist the families to be evicted from their homes in the Netiv Ha'avot neighborhood of Elazar, and called on the residents not to act violently by any means on the day of the eviction. In the letter, the rabbis call on Gush Etzion residents to participate in the large rally in Netiv Ha’avot on the eve of the eviction, to show solidarity and protest the destruction and demand that the government fulfill its promise of extensive construction in Netiv Ha'avot. 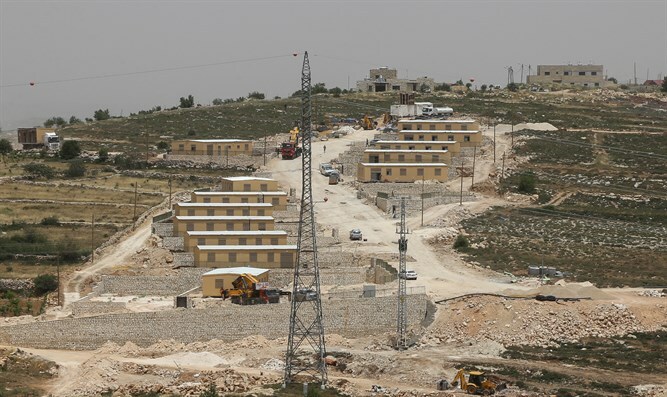 The rabbis also noted in the letter that the area on which the Netiv Ha’avot neighborhood is built in Elazar is not private Arab land, and that the demolition of the houses is contrary to the position of the State Attorney. "As rabbis and community leaders, we see this act as contrary to all logic and morality, and undermining our right to the entire Land of Israel, which is settled by the people of Israel by rightfully and justly," the rabbis wrote in a letter. “This day cannot pass for Gush Etzion residents as a regular day. To all those opposed to settlement: In place of every house that, G-d forbid, is destroyed or threatened with destruction, many others will be built."